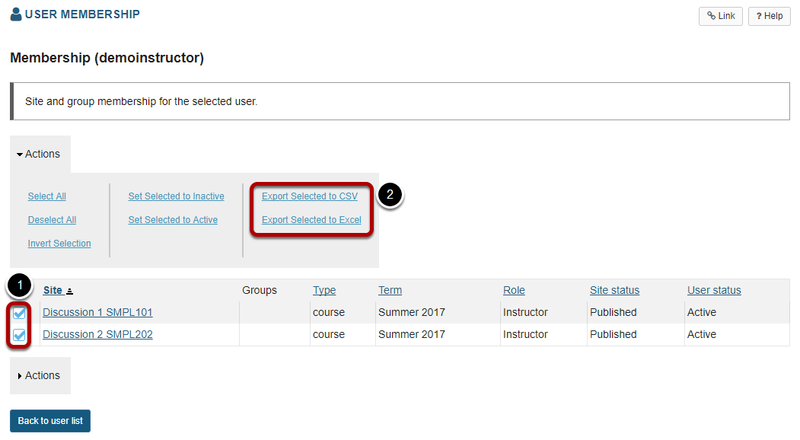 Sakai Community DocumentationSakai 12 Administrator Guide (English) User MembershipHow do I export search results from User Membership? Zoom: Click Export CSV or Export Excel. Zoom: Click on the User ID to for the user in question. Click Actions to expand the action menu. Select the sites to be included, and then export. Zoom: Select the sites to be included, and then export. 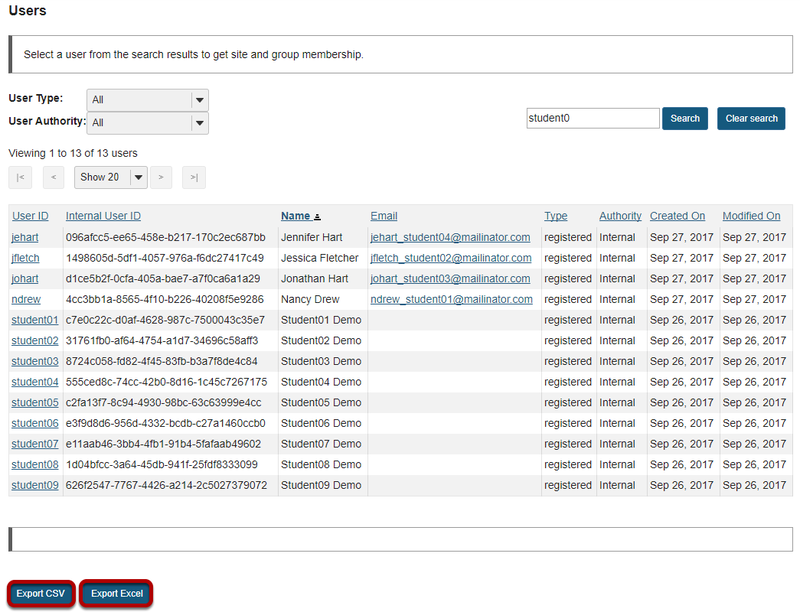 This detail view displays all of the sites in which the user is enrolled. The type, term, and published/unpublished site status are shown, as well as the user's role and status within each site. Select the sites you wish to include in the export. Select the Export Selected to CSV or Export to Excel link to export the data in your desired format. Next: How do I make a user inactive in multiple sites?